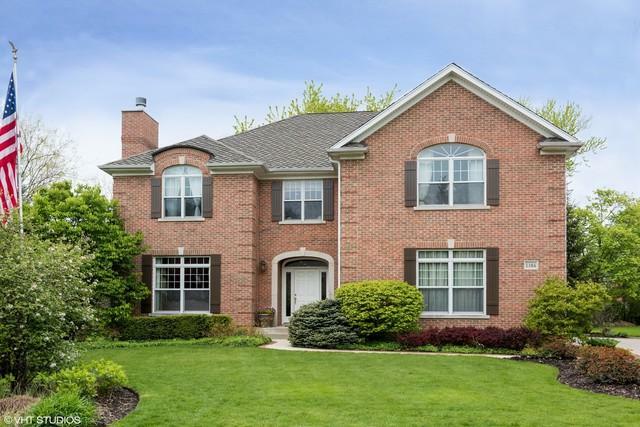 This stylish residence is nestled on a desirably tranquil cul-de-sac & offers a sophisticated & luxurious retreat that reflects that magical merging of masterful design & craftsmanship in coveted East Glenview location. The grand entryway w/sweeping staircase draws you into a voluminous layout made for entertaining w/gleaming hrdwd floors, elegant LR w/frpl & curved arched entryways which flow into formal DR & finally into tremendous chef's KIT w/premium finishes, Thermador ss appls,breakfast nook w/French doors to patio, FR w/stone frpl, built-ins,barrel ceiling, French doors to yard & OFF/6th BR w/Full BA. Divine MSTR suite presents tray ceilings, massive windows & opulent ensuite BA w/jetted tub, steam shower & 2 WICs. TWO Jack & Jill Suites and LDY complete the 2nd level. The lower level houses a large Rec Rm, 7th BR w/full BA, vast storage space & Hobby Rm.Add'l highlights: 2 staircases,3 car garage,spacios MUD Rm w/cabs,outdoor frpl & more! Just mins to I94,schools,parks & shops.